What do we expect from a mobile cover case, that it should look beautiful, keeps the device secure from scratches and dirt, doesn’t increase the weight of the mobile too much, that’s it. We cannot think more of it because we have never seen anything that goes beyond this level and offers extra features. iblazr case is specifically designed to enhance the working capabilities of your existing iPhones and at the same time provide durable protection. They flaunt a modern and clean design and pack a high power LED light along with many other features that help you to get the most out of your delicate smartphone. However, there are many iPhone cases that we have featured in the past on our blog, you might want to check these as well: best iPhone Pokemon Go cases for those who love Pokemon, best iPhone 7 cases, best iPhone 7 Plus cases and Megaverse iPhone case that turns your iPhone into bottle opener. Let’s have a look at the key features of these ultimate iblazr iPhone case that are all set to storm the world. It is a powerful combination of an optical diffuser and 40 high power LEDs that gets triggered by the flash of iPhone and produces an intense light. 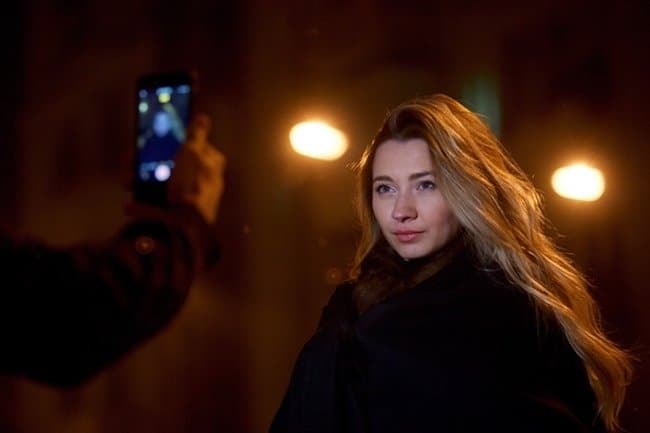 The iblazr Lightcatch technology allows LED of the case to get synced automatically and increase the capabilities of your iPhone’s flash within 0.008 second and allows you to capture clear pictures with less noise and improved exposure. The iblazr case integrates a power bank that helps you to extend the battery life of your iPhone when its draining out. 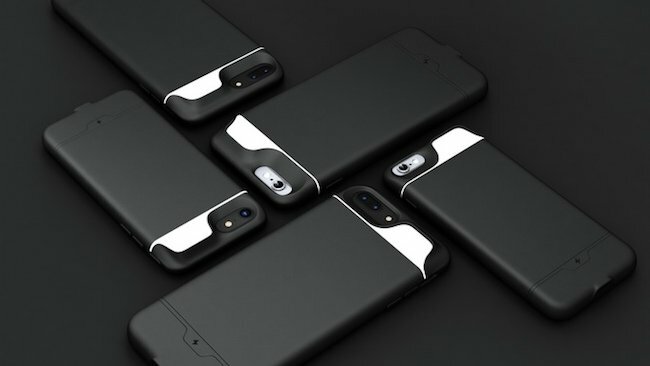 The case helps iPhone 6, iPhone 6s, iPhone 6s Plus, iPhone 7 and iPhone 7 Plus to enlarge the battery capacity by up to 90%, 100%, 70%, 80% and 60% respectively. The powerful 200 LUX light of iblazr case allows users to take detailed images in dark environment. You can take clear pictures of night parties and share them with your friends on Snapchat or Instagram Stories. The light function of iblazr case provides makes the video streaming brighter and provides better details. The case is useful for mobile blogging and for anyone who wants to cover a live event for his/her broadcasting channel. You get all the important notifications such as incoming phone calls, messages or alerts from social networks etc. 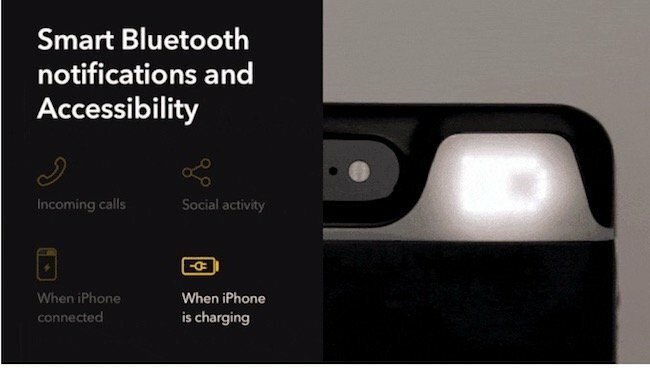 instantly via Bluetooth LED on the back of your device. 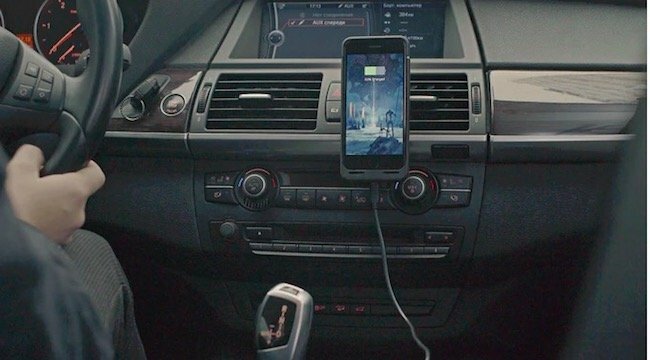 The iblazr case can be used while driving a car for multiple tasks such as navigation, charging, music playback etc. The case offers 360 degree rotation for adjustable viewing too. The iblazr case is flexible and provides satisfactory protection from accidental drops and annoying scratches. It keeps the phone safe as well as dirt free for several months and adds minimal bulk to the device. Each iblazr case comes with a USB Type C cable to charge the phone and utilizes MFI Type-C ‘female’ connector to sync and charge the device. The connector along with the iblazr case housing enhances the sound quality of the bottom speakers by expanding the sound in the same vertical way. 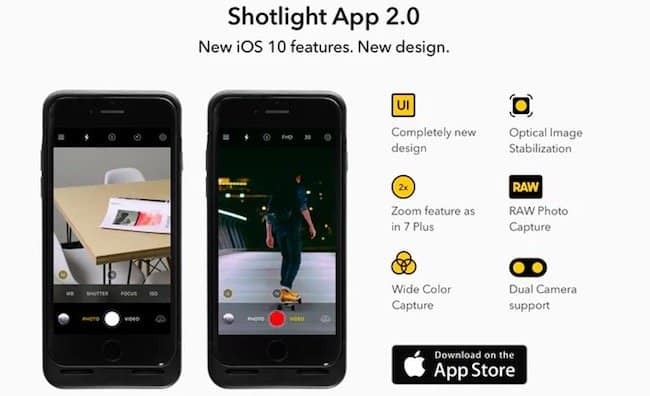 The case is compatible with new version 2.0 of popular iPhone camera app Shotlight that includes a totally new user interface, RAW Photo Capture, Optical Image Stabilization, Retina Flash, Vibrant Colours, Cinematic Video Stabilization and Zoom feature like iPhone 7 Plus. 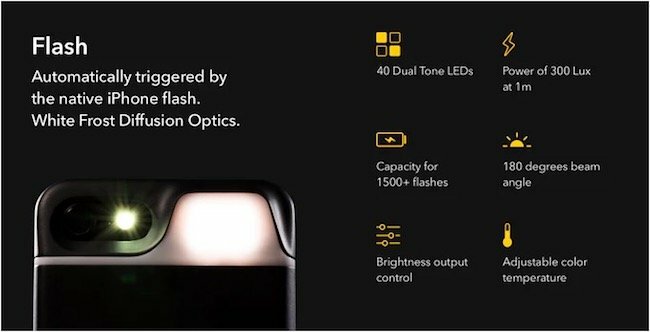 Shotlight lets you customize the colour temperature and brightness of the case, add other devices such as LED flash of iBlazr and run them together. The iblazr case is made of ABS (acrylonitrile butadiene styrene) plastic and tough rubber coating finishing. The electronic components used in the case are bought from authorized sellers and are MFI certified. It comes with two interchangeable top covers so even if you have an iPhone and buy a new iPhone 7, it will fit properly to that model as well. This facility is available for both regular and Plus models. 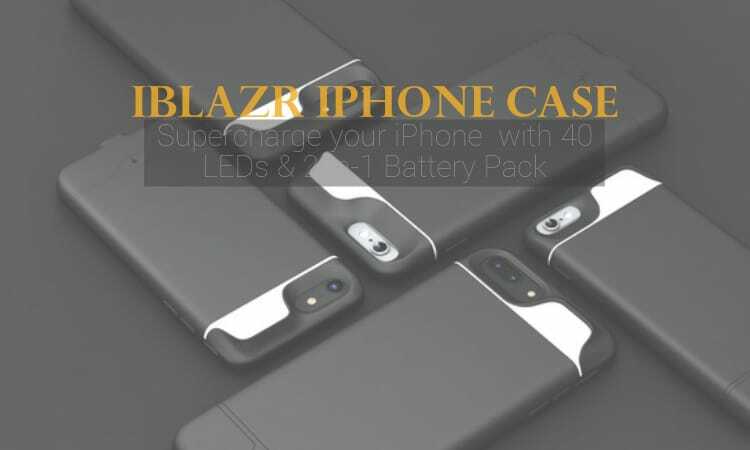 So, these are all the features of iblazr iPhone case which we think makes them stand apart from the crowd and increase your iPhone’s capability.